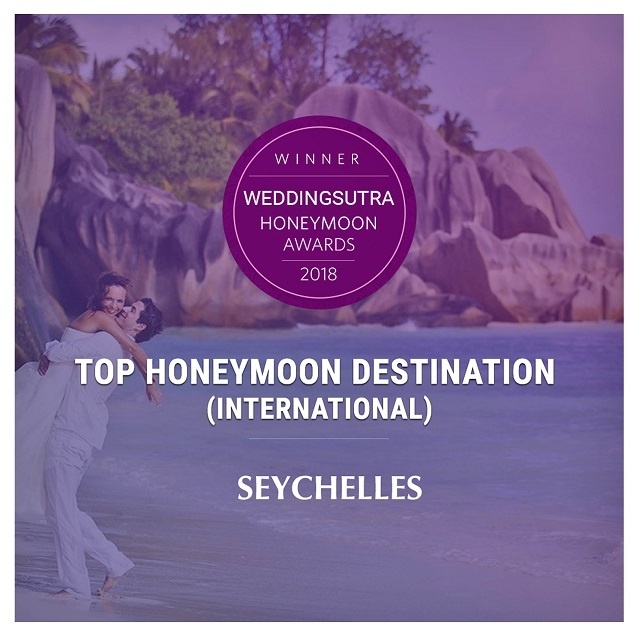 (Seychelles News Agency) - Seychelles has been named one of the top five wedding destinations globally at the WeddingSutra Honeymoon Awards 2018. “It is always an honour for us to see the destination being recognised on such leading platforms. The features of the different islands surely add in making the romantic effect in extending the fairy-tale effect for the newlywed couple,” said Shirin Francis, the chief executive of the Seychelles Tourism Board. WeddingSutra is India’s leading bridal media brand targeting engaged couples. It gives detailed wedding guidance, specific to individual preferences to a target audience of smart, spirited and sophisticated newly-weds-to-be. According to the WeddingSutra’s website, the awards have been designed to zoom in on swoony, scintillating honeymoon destinations the world over. The awards take a close look at destinations from all over the world and the nine judges spent hours going through the hundreds of entries received to finally come up with the list of winners. According to the National Bureau of Statistics, there were 2,367 visitor weddings in Seychelles last year, a number that has been rising steadily. In 2016 -- 1,695 couples said “I do” in Seychelles. Most of the weddings are held in the three most populated islands of Mahe, Praslin and La Digue.